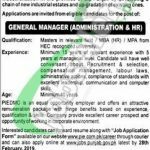 Career Opportunities are being offered from PIEDMC Jobs 2019 | Punjab Industrial Estate Development and Management Company Jobs 2019 | Punjab Industrial Estate Jobs 2019. The job opportunities are inviting the individuals to get employed in their respective fields by carefully reading and ameliorating the instructions and hit the button of applying if the educational requirements and experiences match the eligibility. So, currently, Punjab Industrial Estate Development & Management Company is looking to recruit the diligent, experienced, adroit and well-disciplined applicants are required to apply for the following posts which are named as (General Manager (Administration & HR)) is the post based at Lahore which needs to be filled by the applicants as soon as possible before the due date. For the above position, Masters in the relevant discipline having 15 years expertise in a similar capacity are welcome to apply. All the Punjab domicile holders having age 40 years are welcome to apply for such posts. Now, I will let you know about its further details below. PIEDMC is abbreviated as Punjab Industrial Estate Development & Management Company which is established by the Government of Punjab in Public-Private Partnership to achieve orderly planned and rapid industrialization in the Province of Punjab by establishing new chain of industries within the province. Being a Govt company it offers Govt jobs of different educational levels. Candidates meeting criteria may apply online at www.jobs.punjab.gov.pk. Applicants may also apply by submitting a detailed CV along with application form available at www.pie.com.pk or www.JobsAlert.pk to the following address given below. The last date for applying is February 28, 2019. Female candidates can also apply. The company offers attractive salary packages along with the rest of the benefits with the conducive environment. So, for more jobs stay connected with this page always. Last Date to Apply: February 28, 2019. 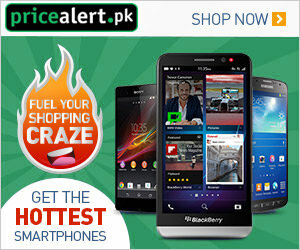 Address: PIEDMC, Head Office, Commercial Area North Sundar Industrial Estate, Sundar Raiwind Road, Lahore.